Most of our chandeliers come with either hardwire kits or one of these Light Sockets in the box. You can use them with our lighting, or you can omit them. Some of our Decor does not come with these kits, and they can be added to turn a decoration into a chandelier. 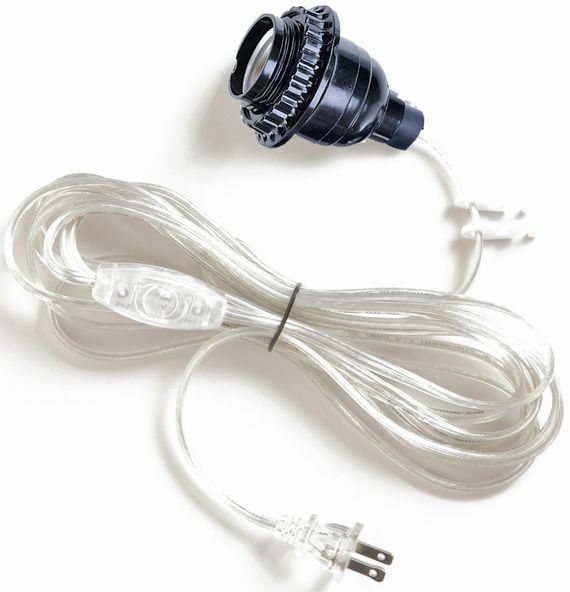 Simply attach this cord kit and you've got yourself a new light! This cord kit has an in-line on/off switch. It plugs in to any outlet and is UL Listed for safety. Use a standard size light bulb, up to 60 watts. Comes with a 12' electrical cord in clear plastic casing. What are those little plastic pieces attached to the cord supposed to do? Merchant Response:Hi there! The little plastic pieces are to bunch the cord up and hold it in place if you'd like, sort of like a cord keeper! Excellent item that is hard to find in other stores. I was able to use this item for a school ball twice. It worked really well and was a major upgrade from previous years where we had to use a lot more creativity to create the lighting with a fake chandelier. ConsClips could have more of a latch to hold them to a lamp better. Item seems to be working for the application it was purchased for. We moved to a home without and ceiling lights. 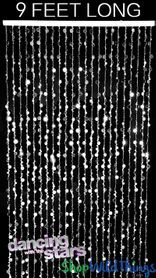 With this product we were able to brighten up our bedroom without any home construction. This Light Kit provided us with a Fast and Easy solution to our homes lighting dilemma! Highly Recommend!! ProsEasy Do-It-Yourself Installation. Inexpensive way to get additional lighting in your home or that special event.